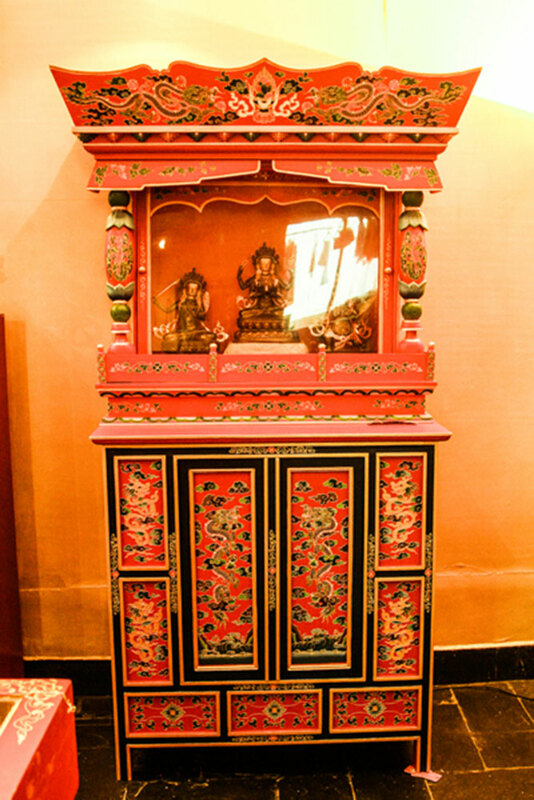 Shrine attached to a cupboard painted with dragon motifs. 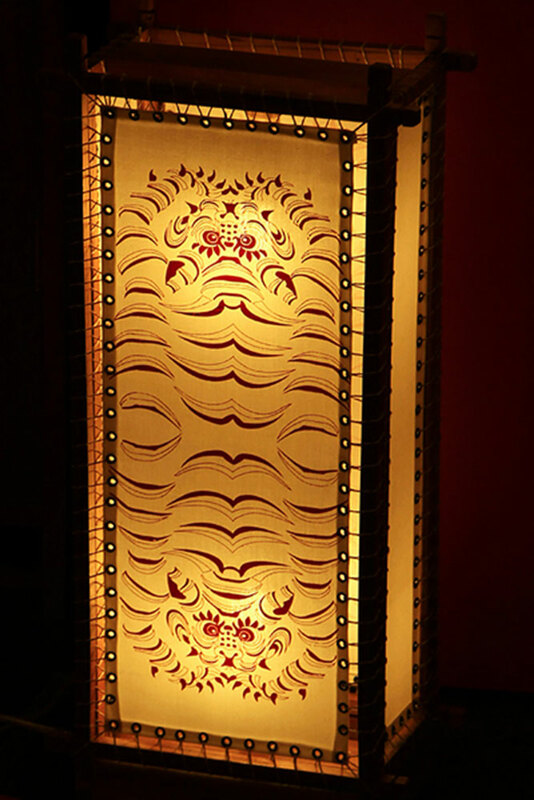 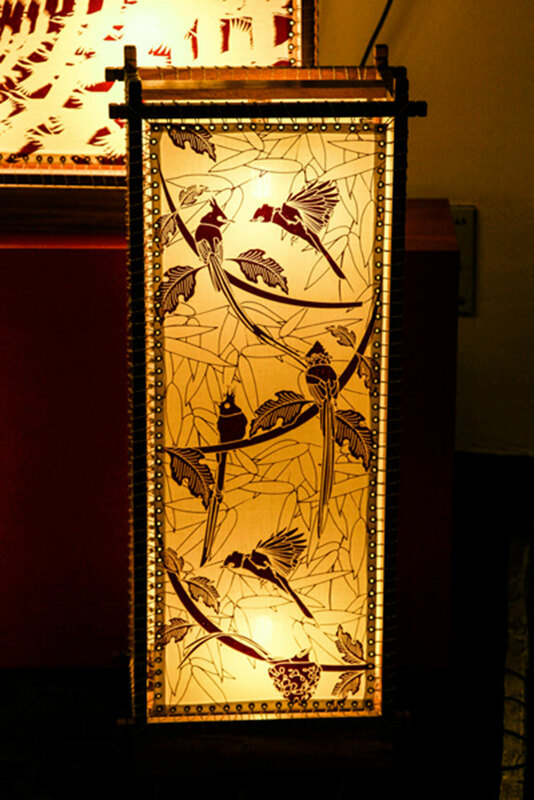 Electric show lamp designed with flycatcher motifs. 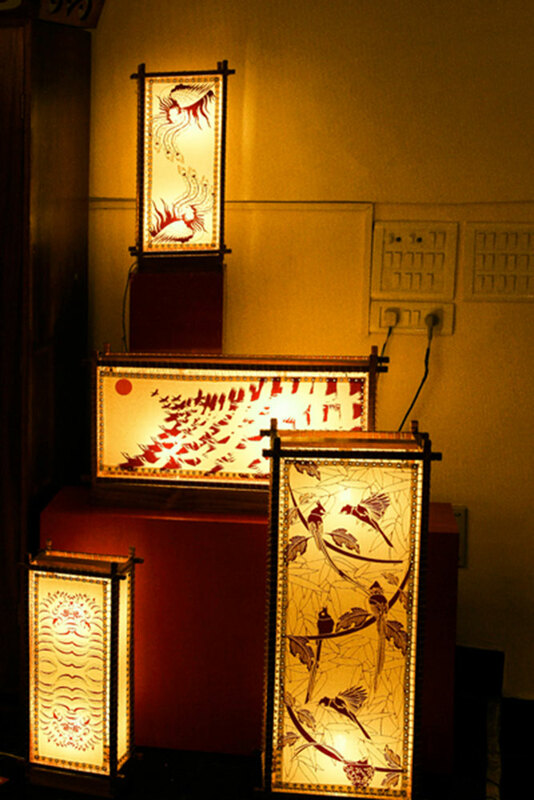 Varieties of electrical lamps decorated with Tibetan style. 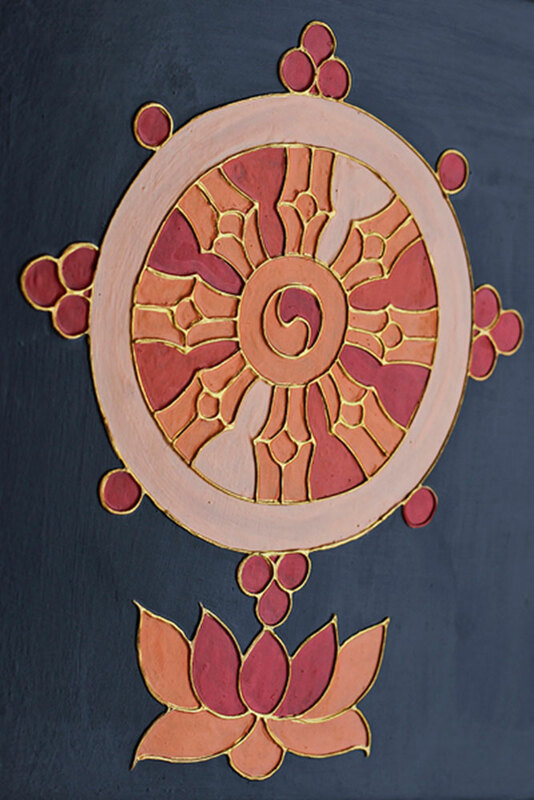 Painting depicting lotus and wheel of law. 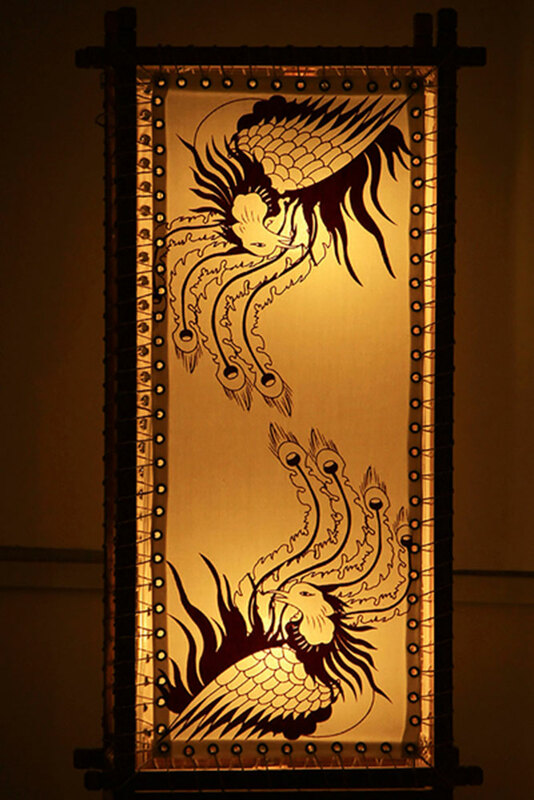 Lamp shade designed with crouching tiger design. 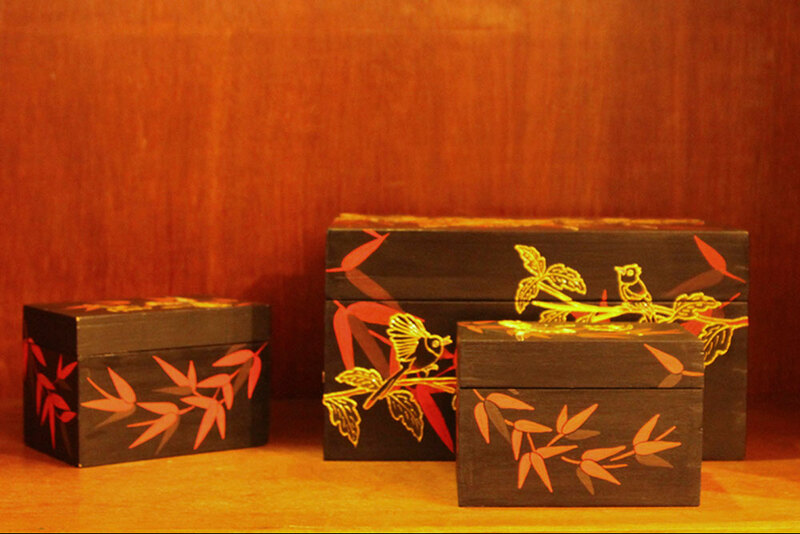 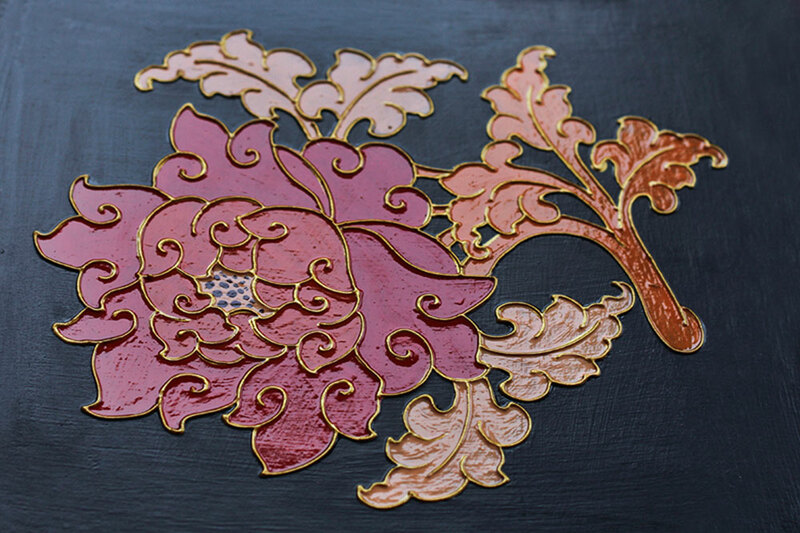 Treasury and gems box painted with animal and floral designs. 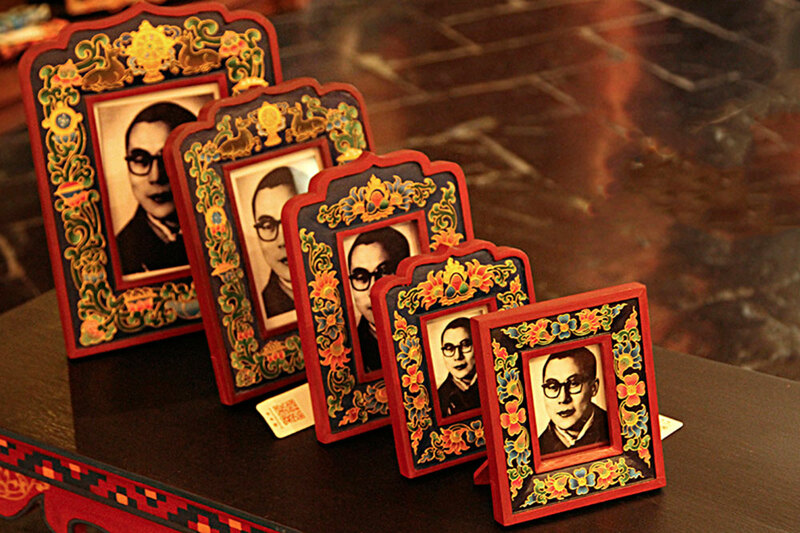 Different types of wooden photo frames embellished with bright colors. 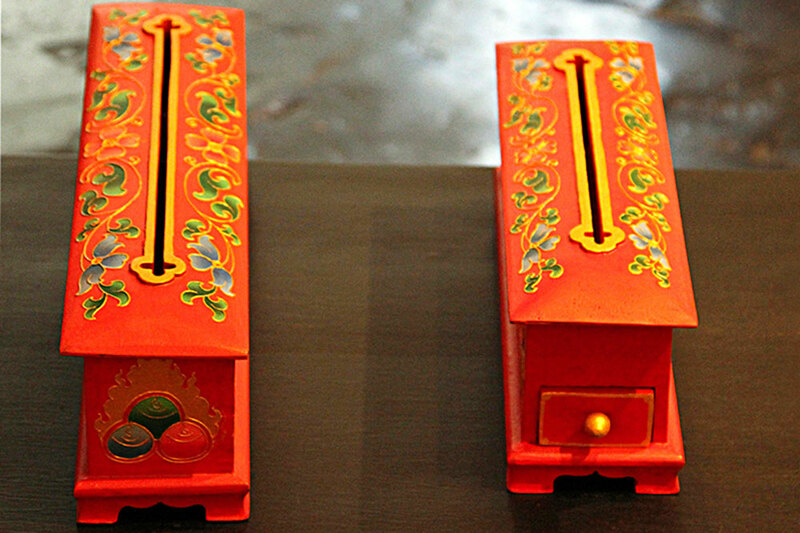 Incense burner painted with Tibetan motifs. 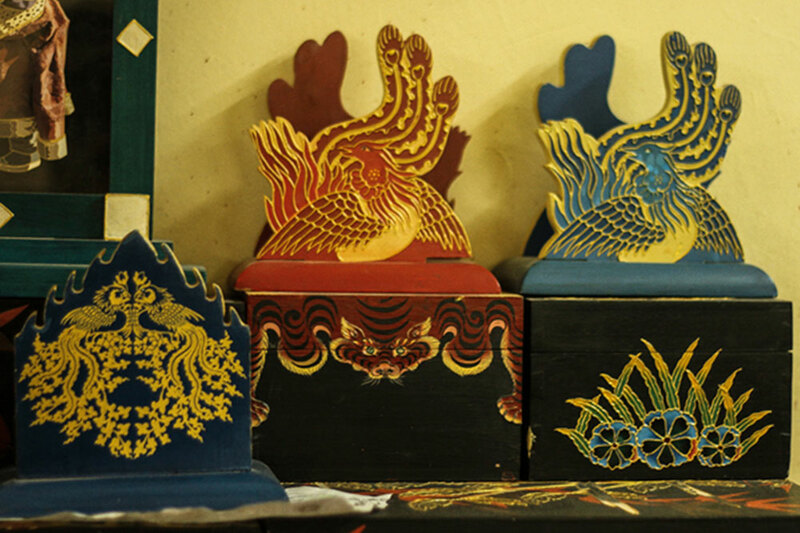 Tissue paper holder designed with phoenix motif. 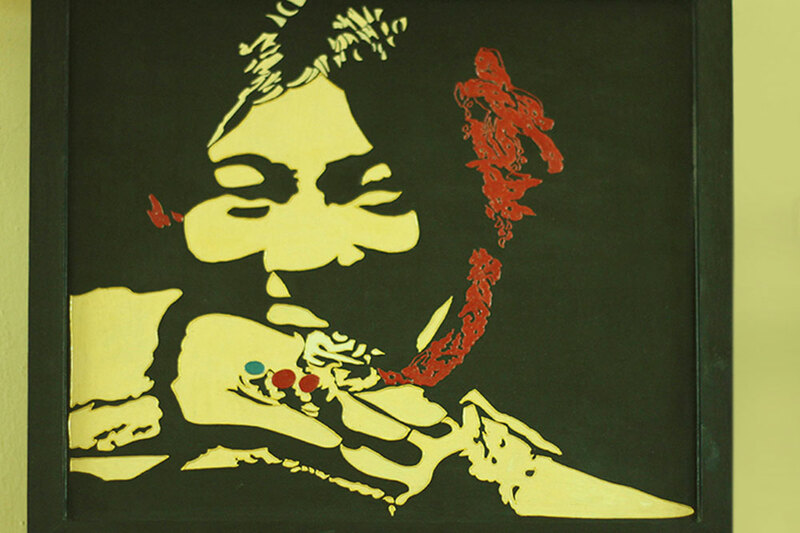 Portrait painting of a women.